We are open 24 hours to make sure we are able to accomadate any of your needs. Make Seaside your destination and let Comfort Inn & Suites be your Choice location for Comfort and your home away from home. As our guest, we take pride in making your stay the very best by offering you a deluxe hot breakfast buffet each morning served in the Riverview Suite and freshly baked cookies every afternoon. We want to invite you to unwind in our Sauna and refresh yourself in our indoor Pool and Spa. While you're here experience one of our beautifully appointed spa suites that features a two-person spa, fireplace and balcony overlooking the Necanicum River. Your Comfort is our goal. 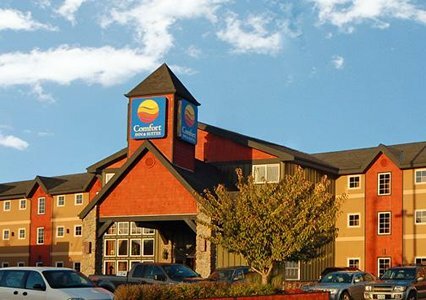 So when Seaside is your destination, make Comfort Inn & Suites your choice location.